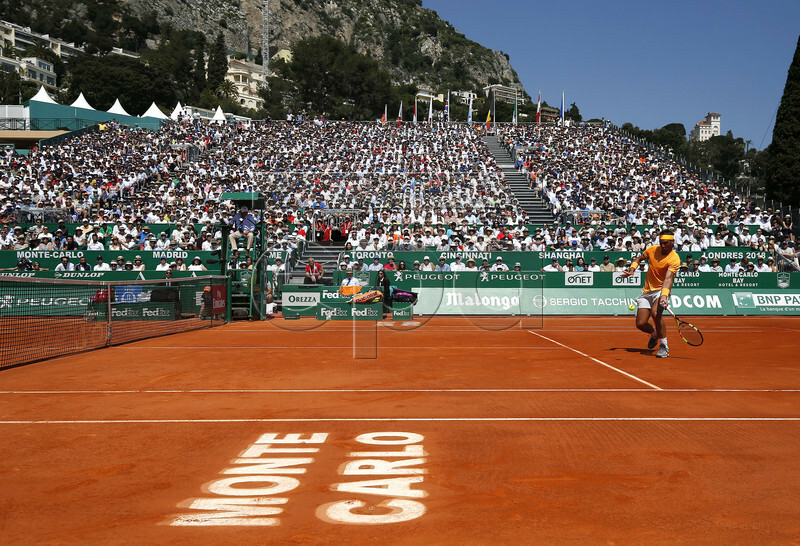 Following appetizers in Marrakech and Houston, the clay-court swing offers one of its main courses next week: the Monte-Carlo Masters. Novak Djokovic and Rafael Nadal are both on board, joined by Alexander Zverev, Dominic Thiem, Kei Nishikori, Marin Cilic, Stefanos Tsitsipas, and Karen Khachanov as first-round bye recipients. Also in a loaded field are Stan Wawrinka, David Goffin, Borna Coric, Daniil Medvedev, Denis Shapovalov, Jo-Wilfried Tsonga, Grigor Dimitrov, and many others. The draw ceremony was held on Friday and it gave Nadal an even bigger advantage that what he already enjoys on the dirt even with all other things being equal. Djokovic’s top half is also home to Thiem and Tsitsipas. The world No. 1 may have to open against Philipp Kohlschreiber, who just upset him in Indian Wells. That’s not to say Nadal has a cakewalk. The 11-time Monte-Carlo champion awaits either Roberto Bautista Agut or John Millman before possibly running into either Shapovalov or Dimitrov in the third round and Wawrinka in the quarters. The second seed was in doubt to get another chance this year, but appears to have recovered from a knee injury that forced him out of a scheduled Miami semifinal against Roger Federer last month. Main-draw action begins on Sunday and will conclude the following Sunday–possibly with another Nadal-Djokovic showdown. But based on the quality of this field, we have a long way to go before considering that final matchup to be a foregone conclusion.